Marcos Rogerio de Lima is done with fighting at light heavyweight after missing weight a second time in the UFC. “Pezao” missed weight by five pounds for his UFC Fight Night 108 clash with Ovince St. Preux in Nashville, three months after weighing in at 209.6 for his bout with Jeremy Kimball in Denver. de Lima, who competed as a heavyweight on The Ultimate Fighter: Brazil 4, has decided to move back up after racking up a 3-3 record at light heavyweight. “It’s not healthy for me to fight at this weight,” Lima told MMA Fighting. Lima says he’s not sure why he wasn’t able to make weight this time, and believes that his struggles led to his performance against St. Preux. The Brazilian felt “too weak” during the weight cut for UFC Fight Night 108, but it wasn’t as damaging to his body as his previous one. Prior to his fight with Kimball in January, “Pezao” passed out twice in the process of cutting weight. 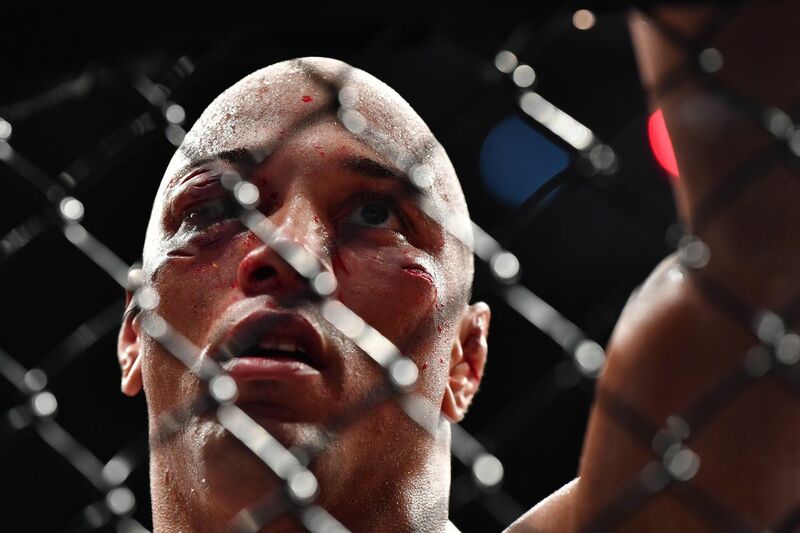 “Pezao” recorded his four UFC wins by first-round stoppage, including his promotional debut against Richardson Moreira in 2014, when he won by knockout in just 20 seconds.